Sturdy single walled and double walled cardboard boxes manufactured from a high quality rigid flute corrugated board in a range of popular sizes suitable for a wide range of packaging applications. Boxes are delivered flat packed and require tape, glue or strapping to seal them. 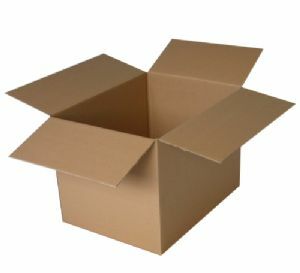 Cardboard is an environmentally friendly packaging material and all of our cardboard boxes are recyclable.